Software Outsourcing - Due to Globalization, outsourcing to India has increased to great extent. HorizonCore is an offshore software outsourcing company in India that delivers a range of offshore software services. Due to Globalization, outsourcing to India has increased to great extent. 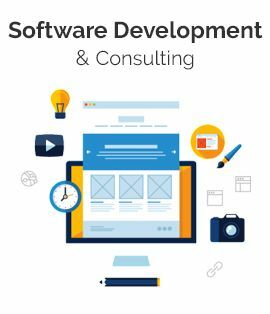 HorizonCore is an offshore software outsourcing company in India that delivers a range of offshore software services and solutions to facilitate companies to build-up challenging and inventive software products for their daily operations. We are a leader in providing offshore web designing development services and offshore software development services. We offer real time and reliable solution to your entire software needs at most affordable price. The concept of offshore outsourcing to India was rooted when America was struck by the year 2000 bug because a solution was needed in a very short span of time to cope up with the problem. In such a critical stage of time, everyone found India to be the best and the only source for outsourcing as India was having massive power of educated youth. After fixing 2000 bug for American companies, they realized the significance of Indian IT power which was available at affordable pricing and it was the time when the concept of Outsourcing to India was born.